Secretary-General of the World Assembly of Islamic Awakening pointed to the plots hatched by enemies to derail the awakening movement in the region, and underscored that the movement is still alive and going forward thanks to strong popular support. “Despite all the existing difficulties, problems and crises that have been inflicted on the Islamic governments and nations, the wave of the Islamic awakening is moving forward despite all hurdles and challenges thanks to massive popular support,” Velayati said, addressing a group of Islamic figures, thinkers, elites and scholars in Baghdad on Saturday. The 9th session of the Islamic Awakening Supreme Council started work in the Iraqi capital, Baghdad, on Saturday. The gathering will last until Sunday. Velayati, who is also the Head of the Strategic Research Center of Iran’s Expediency Council, added that people’s active presence in the war of truth against falsehood is the key and effective element in Islamic-Arab revolutions inspired by the Islamic Awakening movement in the region. “Today the Islamic Awakening movement is clearly visible all around the region thanks to Islam; and the Islamic values and the voices against arrogant and bullying powers are the first outcome of the Islamic Awakening in the region,” he said. Velayati noted that members of the Islamic Awakening Supreme Council attended the Baghdad meeting in a bid to discuss and study different issues in the Islamic world and present strategies to remove the existing hurdles and challenges. He asked leaders of the Islamic states to seriously pursue decisions made at the Baghdad meeting. Elsewhere in his speech, Velayati took a look at the history of the awakening movement that has swept the Islamic states in north of Africa and the Middle East, including Tunisia, Libya, Egypt, Yemen, Bahrain and Saudi Arabia. He said the movement started after the US failure to occupy Afghanistan and its failure to fulfill plans in Iraq and the region, namely the plan to create a New Middle East. In Yemen and Bahrain, the enemies used violent elements in a bid to suppress the awakening movement, he said, adding that the repressive methods are still underway in the two countries. The former Iranian foreign minister at the same time reiterated that dividing the region is no more possible through occupation and force because of the high prices for their countries. Therefore, they are trying to use their experience in the occupied Palestinian territories and the establishment of the fake Zionist regime of Israel, he warned. 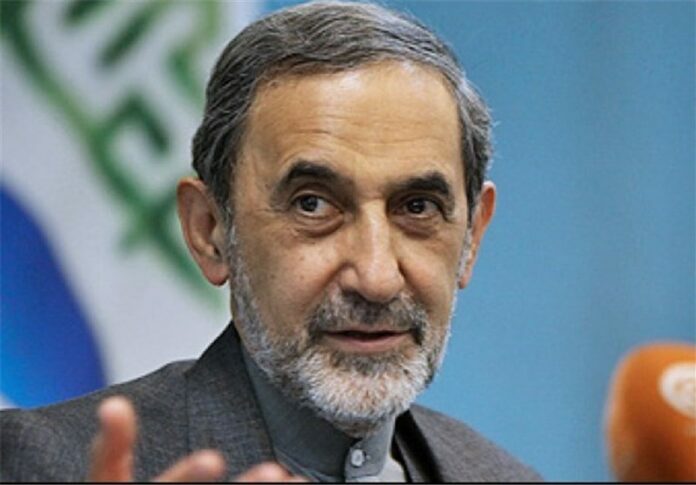 Velayati explained that in that method, global powers politically and militarily support local rebels in a country against the central government and when these groups ask for independence, they recognize them at the UN or UN Security Council. Velayati also noted that the failure of Daesh and other Takfiri groups in Syria and Iraq will create great opportunities for the Islamic world and boost the people’s spirit for confronting extremist and terrorist groups. He then emphasized on the key role that the Islamic thinkers, elites and scholars could play in revealing the devilish and inauspicious face of Takfiri groups and confronting these extremist currents. The remarks came as the Iraqi army troops backed by Hashid al-Shaabi, known as Popular Mobilization Forces, have managed to recapture vast areas south of Mosul from Daesh terrorists. The Iraqi army launched the offensive on October 16 aimed at wresting Mosul from the hands of Daesh. Al-Abadi said that Daesh would be “punished” for its crimes and that the province’s cities and villages will be rebuilt. Though the operation began Sunday, its plans had been known long before. Iraq’s air force dropped leaflets warning Mosul residents that the liberators are coming, and the Baghdad government directed broadcasts directly into the heart of the occupied city. Meanwhile, Iraqi forces have circled the country’s second-largest city and cut off any supply -or escape- routes that the Daesh fighters holed-up in Mosul could use.